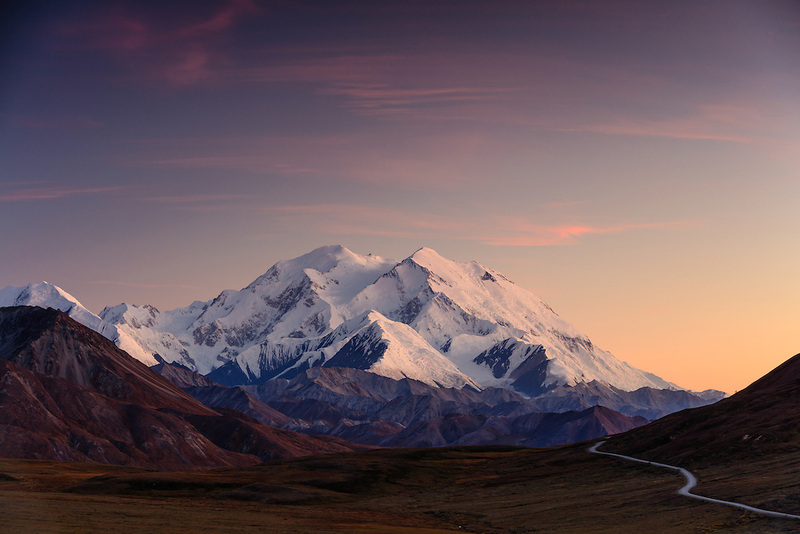 Sunset on Denali (formerly Mt. McKinley) from the Stony Hill Overlook in Denali National Park in Interior Alaska. Autumn. Evening.